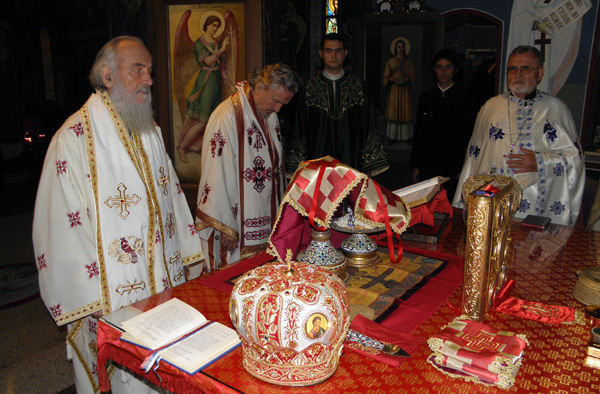 Libertyville, IL - His Holiness Irinej, Serbian Patriarch celebrated the Divine Liturgy at the Stavropegial monastery of Saint Sava in Libertyville on Sunday, September 8, 2013. 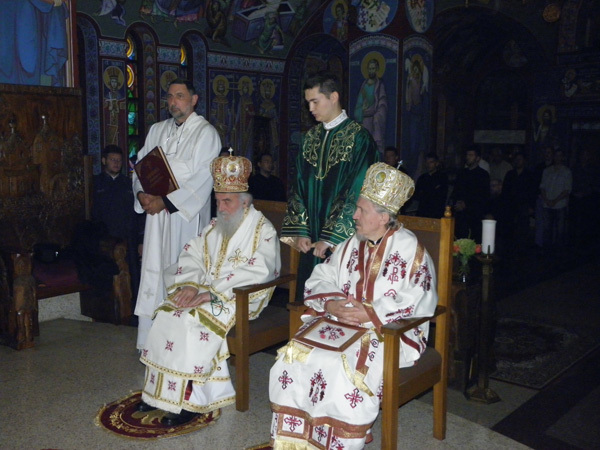 Concelebratin with His Holines, Serbian Patriarch Irinej, was His Grace Bishop Mitrophan of Eastern America together with local clergy. Singing the responses was the choir of the St. Sava School of Theology, located at this holy monastery. 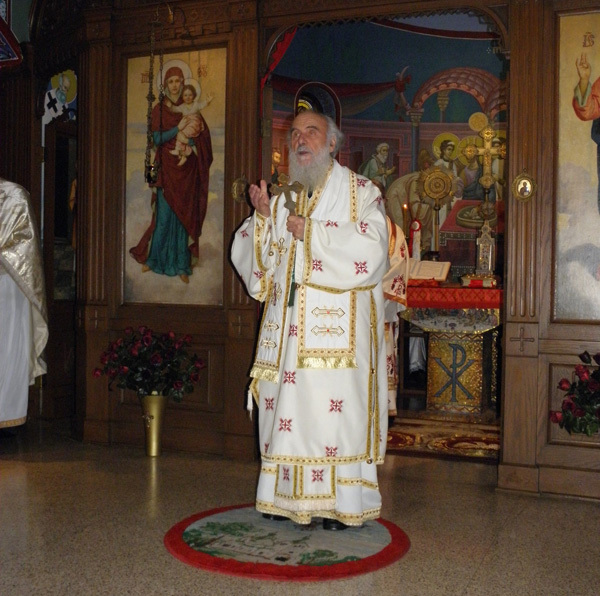 Following the Divine Liturgy Bishop Mitrophan, dean of the school, served the Invocation of the Holy Spirit. Members of the Women's charitable society Saint Anastasia prepared an agape meal.